I am proud to be celebrating 22 years with Tarbell Realtors! I am an attorney as well as a real estate agent. I bring my legal background to the table every day in my professional capacity representing buyers and sellers. As a listing agent, my extensive marketing plan gives a homeowner the opportunity to get the maximum value for his/her property. I utilize all of my marketing capabilities, derived from my 20 years with Tarbell Realtors. I know what it takes to get your house sold. And representing buyers and sellers in the purchase and sale of their real estate is my passion. For buyers, I help negotiate the best possible deal and search until I find the perfect property. Nothing satisfies me more than seeing the smiles that come with a successful sale or the purchase of a lifetime. Once a home is in escrow, whether I am representing the buyer or the seller, my expert skills at facilitating the transaction is as valuable as the marketing. Selling and buying a home is a huge transaction. Making sure you have an agent that can represent you professionally and exceptionally is a huge decision. 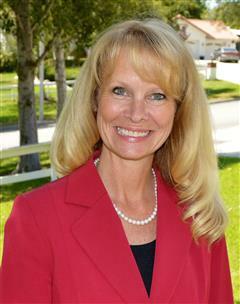 Thank you for choosing me as your Rancho Cucamonga area real estate professional. Do you have any specific questions about my real estate services? I can help you buy or sell your home with a comprehensive strategy designed for you. Susanne also provides services for Deer Creek, CA. To learn more, please contact Susanne. Based on information from California Regional Multiple Listing Service, Inc. as of 04/22/2019 06:46 AM. This information is for your personal, non-commercial use and may not be used for any purpose other than to identify prospective properties you may be interested in purchasing. Display of MLS data is usually deemed reliable but is NOT guaranteed accurate by the MLS. Buyers are responsible for verifying the accuracy of all information and should investigate the data themselves or retain appropriate professionals. Information from sources other than the Listing Agent may have been included in the MLS data. Unless otherwise specified in writing, TARBELL REALTORS has not and will not verify any information obtained from other sources. The Broker/Agent providing the information contained herein may or may not have been the Listing and/or Selling Agent.